Gamescom is the world’s largest computer and video games event. Around 370,000 gaming fans from all over the globe attended in 2018 – a record number of visitors! Gamescom comprises a Entertainment area and a Business area. The Business area is the world’s most important industry meeting point for insiders, traders, publishers and developers. Completely attuned to the needs of trade visitors, the relaxed and exclusive atmosphere of the business area offers an ideal framework for personal discussions and targeted networking. Parallel to Gamescom, Devcom is a game developers event, a prestigious five-day umbrella framework for a series of events focused around game development, game publishing, networking and community building. The main events at Devcom are the Devcom developer conference, RESPAWN – gathering of game developers, the Devcom summits, the official Gamescom keynotes and the Devcom Developer Lounge. Each year, Gamescom is the occasion of the SWISSGAMES biggest delegation. 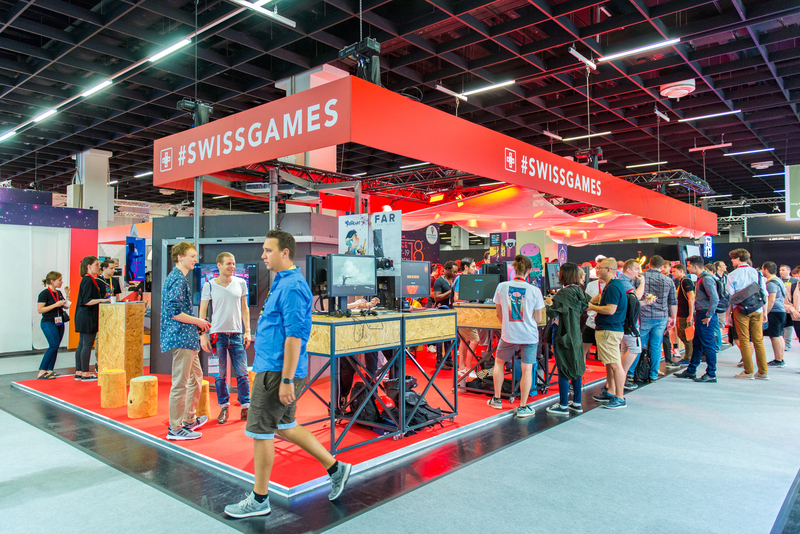 Situated in the Business area, the SWISSGAMES Booth spreads over more the 100 square meters and gathers up to 25 Swiss exhibitors. They can organise their business meetings and get feedbacks from the crowd. Beside the allocation of an exhibition space, SWISSGAMES participants can attend Devcom and are granted a travel stipend. The selection to join the SWISSGAMES delegation to Gamescom is based on a call for participation.